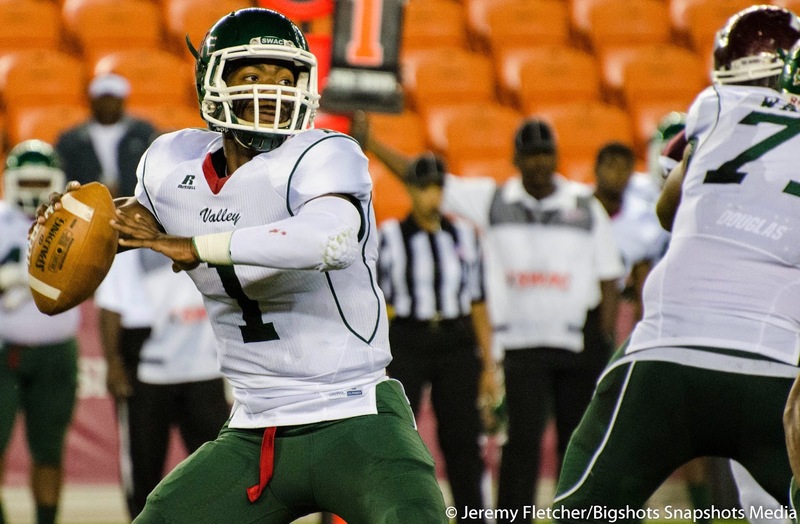 The Delta Devils started the season with a 32 -7 over the University of Faith in Ita Bena in September. 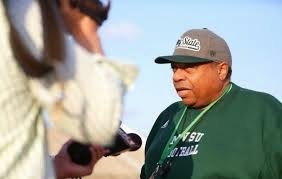 Faith is what the Red & Green needed coming into the 2014 season as head coach Rick Comegy was in his first year at MVSU! Unfortunately Faith was not enough as Mississippi Valley state went on to lose their next 5 games ( Illinois State,Alabama State, Alcorn State Alabama A&M and Texas Southern )by a combined score of 203 to 99. The Delta Devils stopped that 5 game losing streak with a huge win 27-23 over Jackson State a team they had not beaten since 1994, thus putting an end to a 19 game streak of futility against the Tigers. 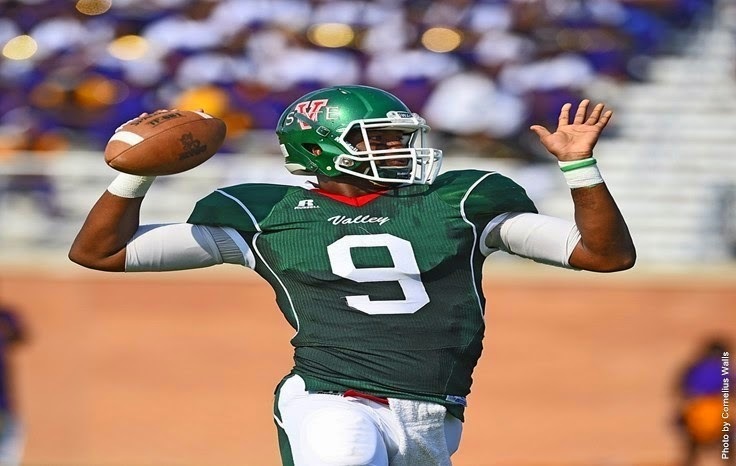 QB Quantavius Peterson (SWAC Newcomer of the Year) stepped into the Jackson State game and connected with Joshua Rice for a 36 yard TD and an MVSU victory ( the QB combo of Peterson and Patrick Ivy lead the Delta Devil offensive attack this season). 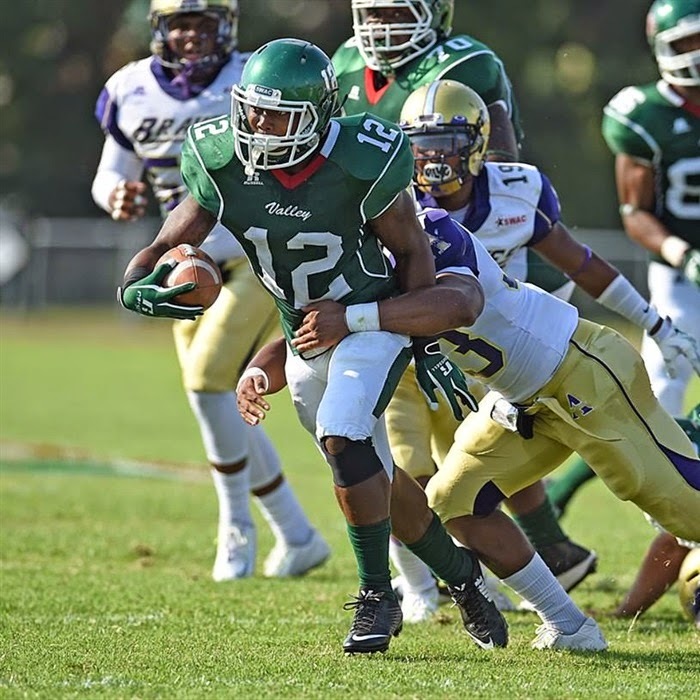 Peterson who returns in 2015 for his senior season may be the arm the Delta Devils rely on unless he gets competition from 6'2" redshirt Junior Dontrinell Scott. Recent signees 6'1" 185lb "EJ" Faison who threw for 2300 yards in his senior season at Norview HS in Norfolk,Va in 2014 or 6'4" 220lb Slade Jarman out of Pensacola,FL may give Peterson competition as well,but its too early to tell at this time.One thing is for certain Patrick Ivy was a senior and will not be back . 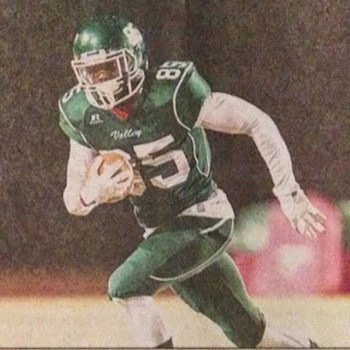 Leading the ground game for the Delta Devils was Peterson ,Redshirt Junior running back Jerrell Moore (who only played in 6 games in 2014) who had 352 yards on 52 carries. MVSU also had ground support from Jeremy Dobson,Charlie Crenshaw and DeShawn Davis. 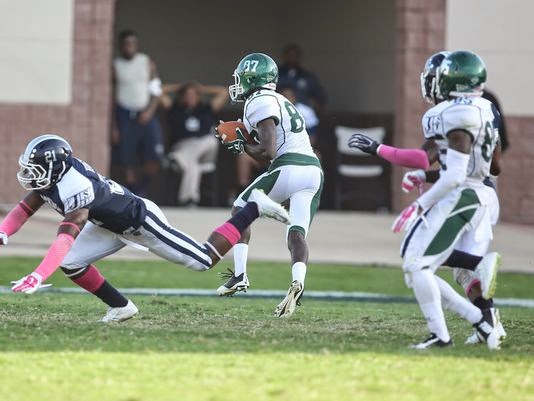 Senior wide out Julian Stafford who lead MVSU with 981 yards receiving and 9 touchdowns will not be around in 2015 and neither will Trey Ford (10 catches 180 yards). Coach Comegy may look to talented receivers like Joshua Rice,Joshua Banks,Keenan Daniels and Charlie Crenshaw. Defensively the Devils defense was lead by the Jones gang! Le' Trey and Davon amassed 119 tackles between the two of them as well as 3 sacks and 3 interceptions! Davon Jones a 6'3" 226lb senior LB will not be back in 2015 and Le'Trey Jones a 5'9" Junior Defensive back will have to find another partner to help him hold it down next season. 31 Jones, Le'Trey 10 44 19 63 8.0 - 28 1.0 - 3 1 - 0 3 4 1 . 3 . .
22 Jones, Davon 10 39 17 56 8.0 - 44 2.0 - 25 2 - 17 1 3 2 1 - 0 1 . .
96 Fugate, Sean 10 33 15 48 4.5 - 26 2.5 - 23 . . . 3 2 - 7 1 . .
7 Boykin, Avery 10 31 13 44 3.5 - 7 . . 3 3 2 . . 1 . 27 Johnson, Jeremy 9 29 12 41 1.5 - 10 . . 3 3 . 1 - 0 . .
Coah Rick Comegy will lead Mississippi Valley State into 2015 loading up with new talent and working his magic to create a team that will finish up surprising many fans! The schedule is not an easy one but with Coach Comegys track record and his ability to convince players to buy in to his program 2 wins in a season will be a thing of the past. Posting soon #45 in the TAJT-10 HBCU Final Football Poll 2014 and 2015 preview !